What could be more English than a pastie? As it is a pastry, you would think it would be quite hard to find gluten free pasties, but this list gives you fourteen different ways to find a gluten free pasty. You will find them in Devon, Cornwall, Somerset and even up North! 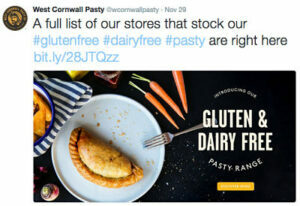 Scroll down for the list of suppliers I am aware of producing a gluten free pastie (or equivalent pastry even if not from Cornwall!). Many of the suppliers also have dairy free and vegetarian options. NB This is not a listing of shops (unless the producer has their own shop, with a couple of exceptions), but gives you a head start on your search! Many of these businesses feature on The Coeliac Plate 100% gluten free UK listings and produce more than pasties! You will be referred to these listings as applicable as they do have retail outlet details. A traditional pastie has a crimped crust on the side so the miners and other workers could hold onto it while eating on their meal break. 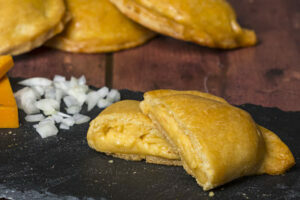 A traditional pastie only contains beef, potato, swede and onion, but you will find modern versions often have vegetables such as carrot and also vegetarian versions such as cheese and onion. 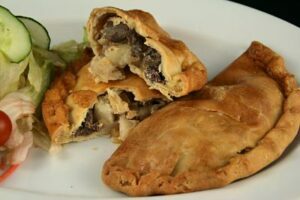 The term pastie is a Protected Geographical Indication (a bit like a trademark), just like Champagne or Stilton cheese must be produced in the relevant area. 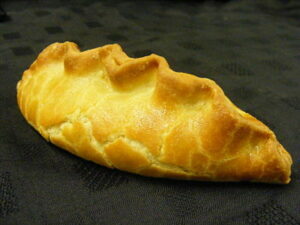 Any product sold using the Cornish pasty name must be produced west of the Tamar, in the wonderful county of Cornwall. For the rules on what should be included in a traditional pasty, see here (from the Cornish Pasty Association). A small specialist bakery, producing hand-made pasties free of wheat, gluten and dairy products. They were the first gluten free business to achieve formal PGI accreditation for their pasties. For further business details (despite the logo, there is more than just pasties! 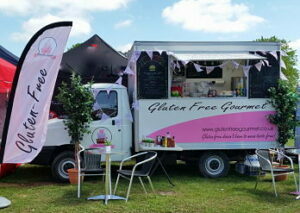 ), see the South West England 100% gluten free listing for monthly market attendance. Place orders directly for collection at her Bodmin bakery (discuss times at time of order) and see Facebook for special events and farmers’ markets attending. This is largely an online business, but you can pick up orders from the premises and it is possible to ring and see if there is stock available and arrange collection. The pies are made fresh to order and freeze for at least three months. They can be microwaved or heated again in a conventional oven. For further business details, see the South West England 100% gluten free listing. 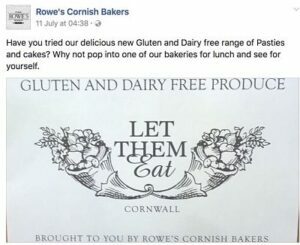 This bakery started producing gluten free pasties in 2016, selling them in their existing stores around the UK. They opened a dedicated factory for producing the gluten free pasties, still using traditional techniques. Their pasties are also dairy free. They are sold in a plastic wrapper to prevent cross contamination and random samples are also tested to ensure the <20ppm standard is met. NB: I’m not sure all stores have them pre-heated, so it may be worth ringing ahead. Their meat pasty is a PGI (protected Geographical Identification) Cornish Pasty using equal proportions of skirt, swede, onion and potato as the filling. 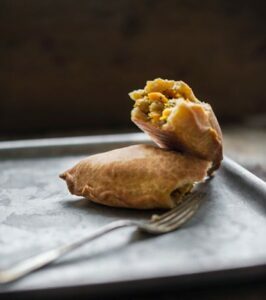 The vegan pasty (pictured below) is filled with coconut roasted butternut squash, wilted spinach and chickpeas. The savoury pastry that is also available as a ready to roll block of pastry. It is free from all 14 allergens and as such can be used by vegetarians and vegans. See social media for events & festivals attending (Twitter @LTECCornwall). Order online for postal deliveries anywhere in the UK, or collect from the bakery by appointment. Cornwall Bakery – preorder for collection or local delivery (Devon/Cornwall). 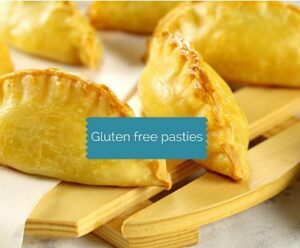 Gluten free pasties are prepared in their gluten free bakery, sealed for cross contamination protection and sold through Portreath Bakery outlets and are also available to order online. Their bakery items are licensed by Coeliac UK to carry the crossed grain logo. As of mid 2017, all Rowe’s stores, except Old Hill are stocking Let Them Eat! (see above) pasties and cakes. All store managers have been trained by Let Them Eat. They are baked off first thing on dedicated baking sheets, using dedicated gloves & tongs and transferred into bags. The bags are sealed and put on hot hold before the ‘standard’ stock is dealt with. Call ahead if you want to make sure there is a warm pasty ready for you! Many stores around Devon and Cornwall, eg Torquay, Truro, Falmouth, Penzance, Saltash, St Austell. 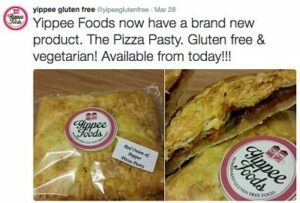 Gluten free pasties can be ordered in advance for collection at shop. NB This is a normal bakery so check re cross contamination controls. Warrens released two coeliac safe pasties (cheese & onion, steak) at the end of 2017, however it will only be available at selected stores – you will need to enquire. Warrens have over 57 bakeries, largely in the South West, including Cornwall, Devon, Somerset, Bristol, Birmingham and Hampshire and London. It is best to pop into the bakery an hour before you would like to eat so they can heat it up for you. 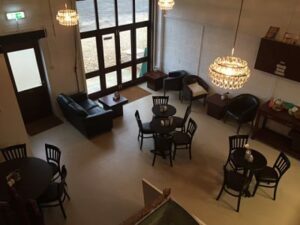 The only totally gluten free bakery and cafe in Plymouth. You can get large pasties here! Mon-Sat 9.30am-4pm (Tues 2.30pm). Closed Sunday. 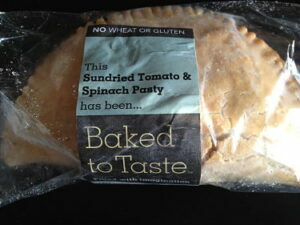 Their minced beef and vegatable pasty is dairy free, and they also have a vegetarian potato, cheese and onion pasty. Although a production unit rather than a shop, you can often take away frozen items. Pre-order to guarantee what you are looking for. Mon-Fri 9am-5pm, Sat 9am-1pm (collections only). Voakes Free From produce a wide range of gluten free products in their dedicated gluten and wheat free factory. They produce both a traditional and cheese pasty. Available to order online for home delivery or collection at a selection of farmers’ markets. 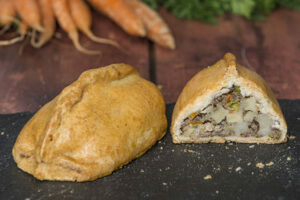 See stockists page for shops that may stock the pasties and also Food Fairs they attend. You can choose from a traditional pasty or a cheese & onion pasty. Order online or find the full range in store at Cambells of Leyburn. Some Waitrose stores may also stock some products (freezer section). For further business details, see the Northern England 100% gluten free listing. Specialising in gluten free pastry, this cafe produces many lovely sweet and savoury options, including a pasty. The pastry has been lab tested for gluten free (at <5ppm) and many customers say it is the best pastry they have tasted! Gluten Free Pasties (from Made Marion Gluten Free) are now available and are displayed in the counter. GF pasties are cooked in a special bag to avoid cross contamination. Monday – Saturday a little after 9.30am, Sunday from 10.30 am, closing time between 6-6.30pm. Run by Mandy Evans, one of the products she produces is a Cornish style pasty. Check social media for events attending. A home based gluten free bakery selling both sweet and savoury products. 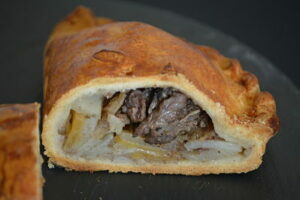 Why not try their Pizza Pasty for something different?! At fairs in the South West, South East and Midlands. Check Twitter @yipeeglutenfree and Facebook @yippeeglutenfree for up to date information on events they will be attending. Order online and look for Baked to Taste products at National Trust cafes, garden centres, health food shops and delicatessens. Photo credits: All photos have been provided by the businesses or are author’s own (unless otherwise noted) and they retain the ownership rights to these. If you would like to receive emails of new posts, please subscribe using the box at the top of the right hand sidebar. 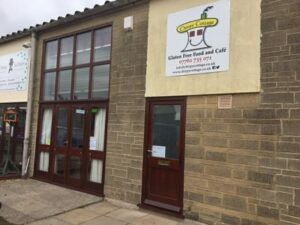 Just to let you know (and update the Page) that Feel Free Foods sadly went into administration in February 2017. Pity – their “online” Pies & Pasties were as good as any I’ve tried…. Thanks David, that is such a shame. I’ll take them off the post.